Training includes Identity School of Acting and the Nation Youth Theatre, as well as ongoing workshops and skills courses. Seven Stages is a short film about masculinity starring yours truly and directed by Daniel Guthrie. It was created as part of First Acts, a subset of Channel 4's Random Acts programme. It screened at the ICA in March 2018, along with a load of other amazing short films as a part of #Playback2018, and at Encounters Festival in Bristol, September 2018. 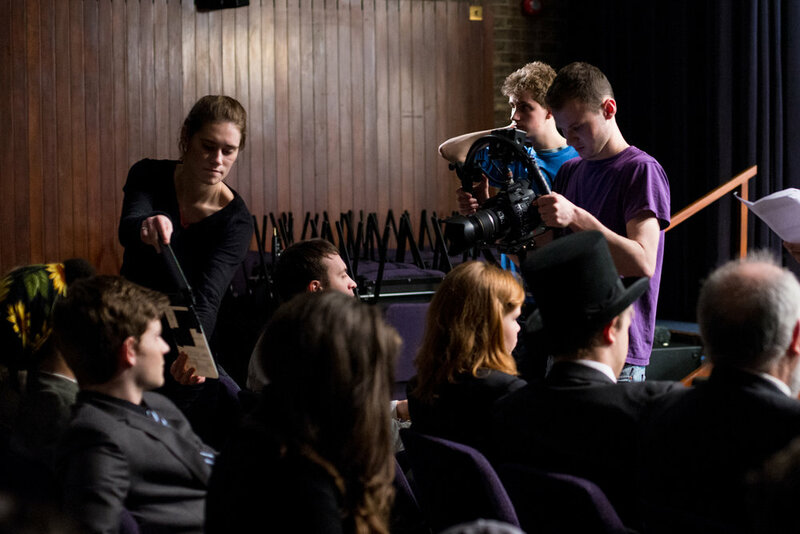 Ruling Class is a drama pilot made by Cambridge grads. With dark comedic overtones and a social conscience, aimed at secondary school kids, it's about lower 6th-former and self-proclaimed future rock star Quentin, who has to overcome his teenage narcissism to win the contest for head boy in order to stop the rise of his fascistic rival Julian and win the heart of head girl nominee Emma (me). The future of Britain is at stake! So stockpile your tins of Waitrose essentials and rev your Chelsea tractors, it’s going to be a bumpy ride.